The combo of hot actor Surya and mass filmmaker Hari has always worked wonders at the box office. Both Surya and Hari have churned out big hits like Aaru, Vel and Singam. In fact, it was Aaru which brought out a different dimension of Surya. According to reliable sources, the two will be combining professionally for a high action masala film. 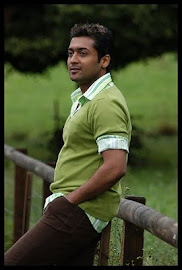 Insiders reveal that Hari has written a script which has a gangster subject and his first choice for the protagonist was Surya. Apparently, when Surya heard the one-line script summary, he immediately decided to sign on. Another report doing the rounds is that Bollywood sizzler Katrina Kaif might be roped in as Surya’s love interest. It may be recalled that the gorgeous Katrina was offered the earlier Surya-Hari venture Singam, but her busy B’Town schedule didn’t leave her time for the project. Presently Suriya is busy with 7 Aum Arivu and then he will move on to Maatraan with K.V. Anand. Hari will also complete his current film Vengai and then will start fine-tuning the script for Surya’s film. 7am Arivu villain is a Vietnamese! Shankar next movie with Surya! Vaaranam aayiram on Kalaignar TV !